Macao, the mysterious harbor city on the south coast of China, is the Portuguese trading center in the far east at the end of the 17th century. 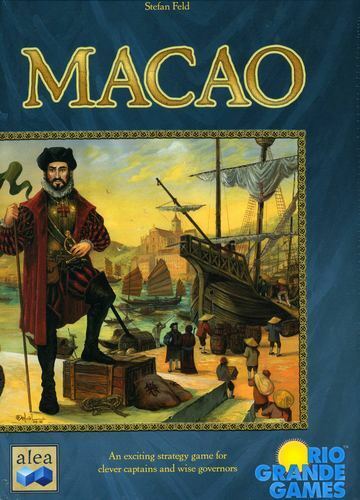 In this game, players take on the roles of the energetic adventurers who sought their fortunes in Macao. Whether as captain or governor, as craftsman or scholar, numerous exciting functions are offered. Who will use his various possible actions the wisest? Who will have the best plan and can acquire the most prestige by the end of the game? Interested in wine-making? 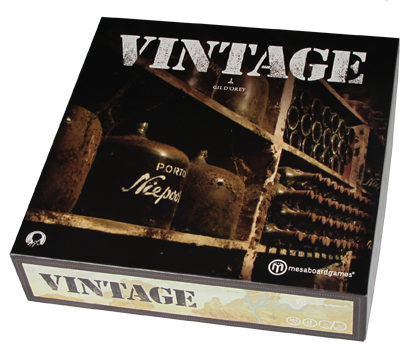 Vintage is a game for anyone who is interested in making their own wine. This game is about the Douro River Valley of Portugal, the oldest demarcated wine producing region in the world, designated World Heritage, and the production of port wine. In the game, you will attempt to buy wine-growing estates and plant them with the best grape varieties to try and produce the highest quality port wine - a Vintage. A Game of Thrones: The Card Game - When you play the game of thrones, you win or you die. There is no middle ground. Have you Herd? - a fascinating and highly addicting animal dice game.